S-10 Forum > General Tech > Exterior / Paint > Hood hinge pivot bolts -- second gen fit a first gen? Hood hinge pivot bolts -- second gen fit a first gen? GM has long discontinued that bolt, so unless someone has some they'll sell me, it's time to hit the salvage yards and hope I can find a first-gen in salvage that still has a hood that I can snag the bolts from. I have seen second-gen bolts for sale and they may also be a bit easier to find in salvage since it would be from a newer truck. Can I use a second-gen truck's hood pivot bolts on my '82? They don't seem to directly cross-reference, but I can't find any dimensions to see how close it is to what I already have. Anyone know how much different one from my '82 would be from a '94 or newer? Re: Hood hinge pivot bolts -- second gen fit a first gen? You can kind of make out the shoulder on it. According to LMC it's not the same part as what's on the 1st gens. Missing shoulder bolts can be a real PITA. Since you still have one, take it out and get some measurements. Then put it back in before it disappears. Been there, lost 'em. I'd try doing some junkyard scrounging. When I needed some for a 2nd gen, I found fullsize pickup bolts from the mid 90's were the same. 1st gen may be inch instead of metric? Or maybe find a bolt and some metal tubing the correct diameters and cut it to length to make your own. That photo looks a lot like the one I need. 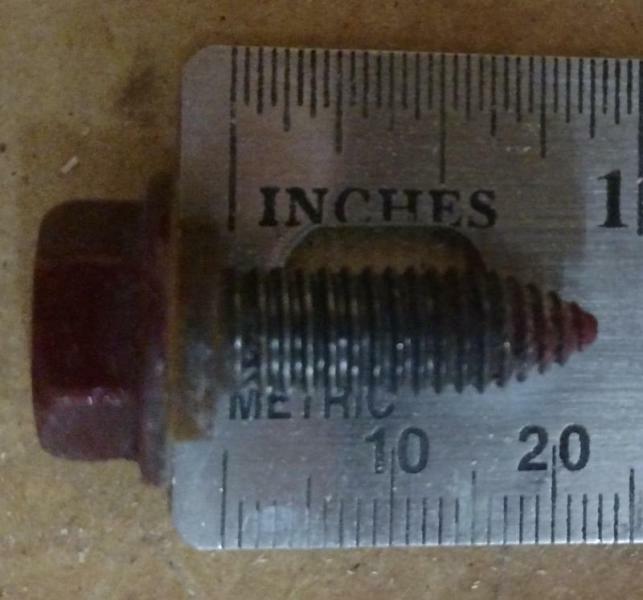 The bolt is an M8x1.25 bolt, but the shoulder measurements I took made more sense in inches than the metric equivalent -- a 1/2" diameter shoulder 3/32" tall. That sure looks exactly like the hood bolts on my truck. I decided to try a second gen bolt, and found plenty on eBay. GM part number 15597207, so I bought a couple, and they arrived today. When I opened the package, I thought that they sure looked like my original 1982 bolt. A quick check with the caliper says that the shoulder diameter is the same -- 1/2" -- but the shoulder height is different. 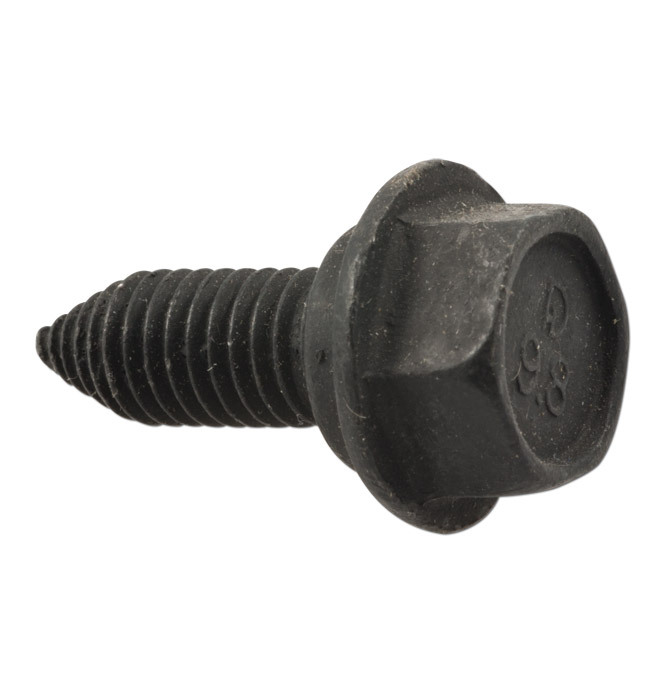 The 1982 bolt shoulder is 3/32" tall, and the second gen bolt's shoulder is 1/8" tall. Yup, a whopping 1/32" difference in height. You can see it if you look The length is pretty much the same, and the bolt head size, thread diameter, and pitch are the same. It didn't take long to confirm that they work just fine. 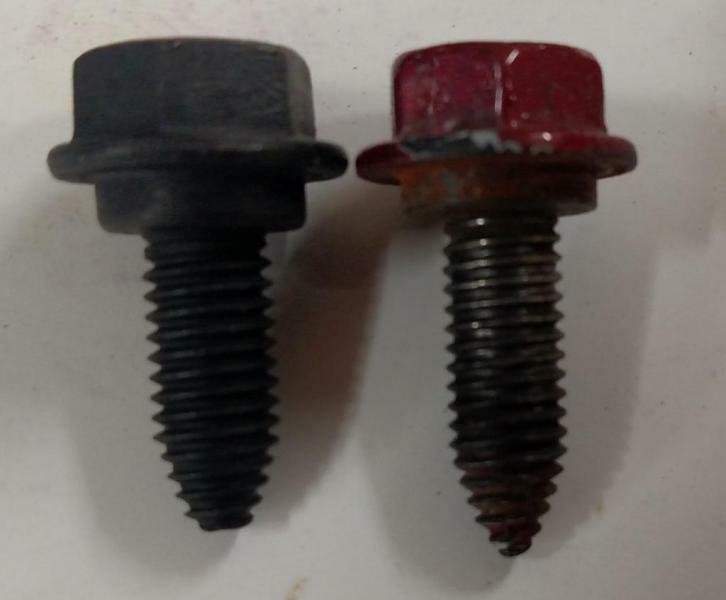 In the photo, the second gen bolt is on the left, first gen bolt on the right. You might get a little rattle with that extra room for lateral movement. 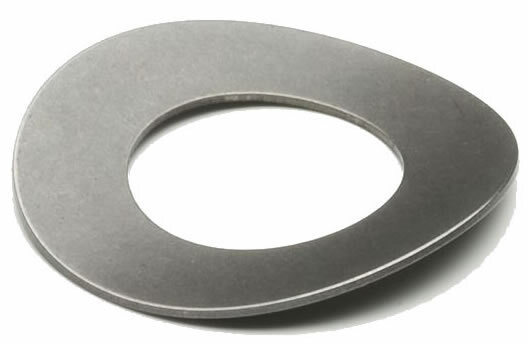 You could stick a thin 1/2" ID curved disc spring washer under the head of the bolt to dampen any rattle. It would provide a tiny bit of tension on the hood. If it does rattle. On 2nd gens it sounds like a rattle in the dash.